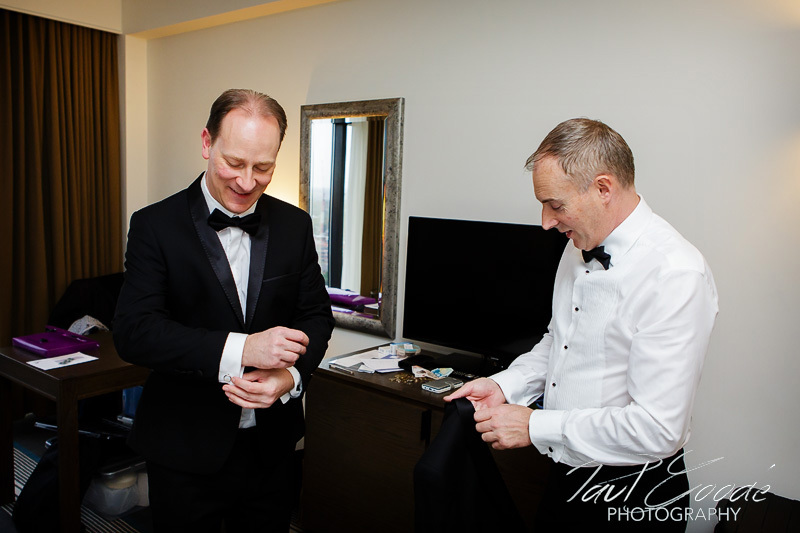 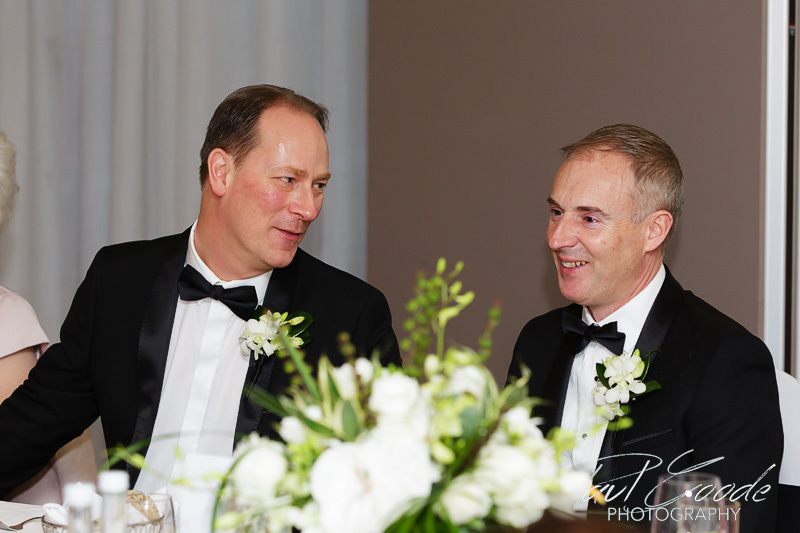 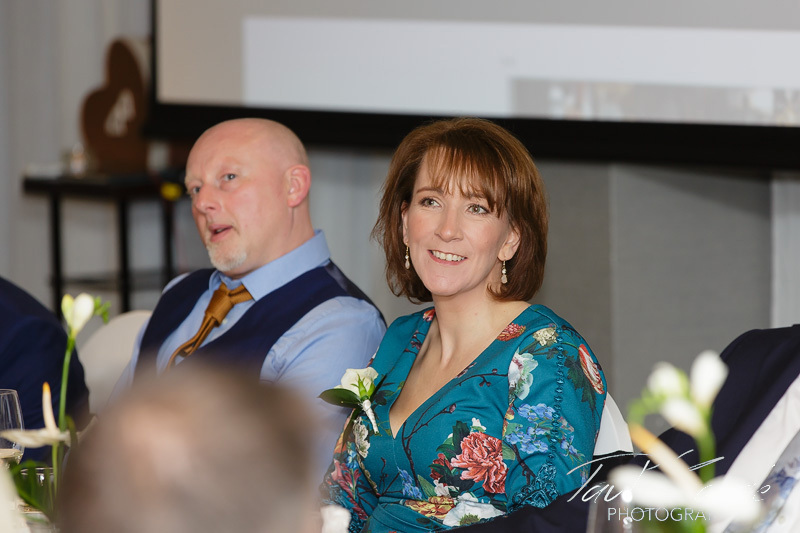 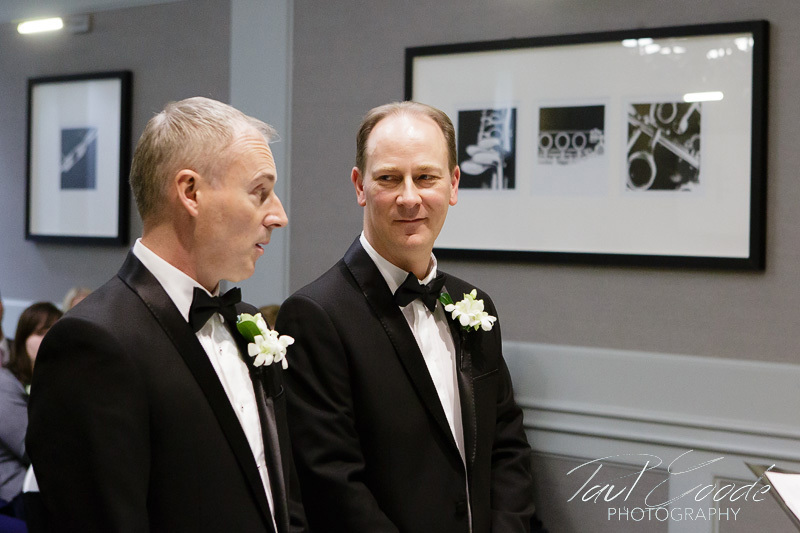 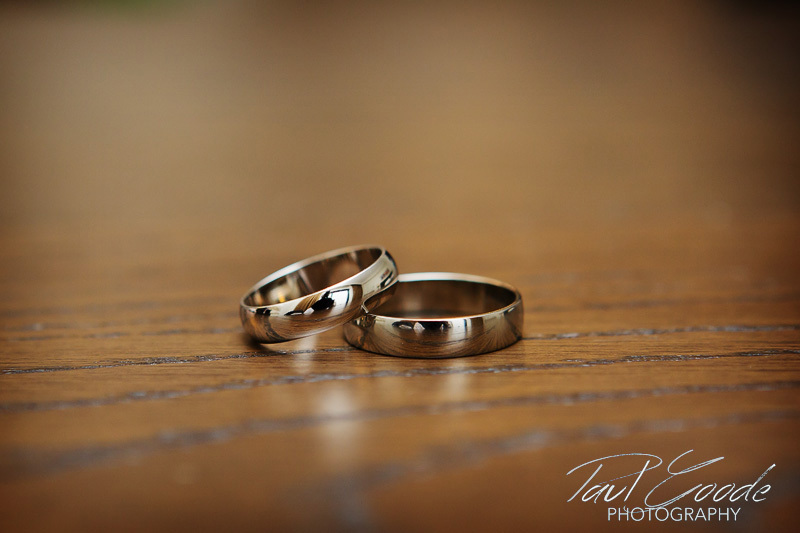 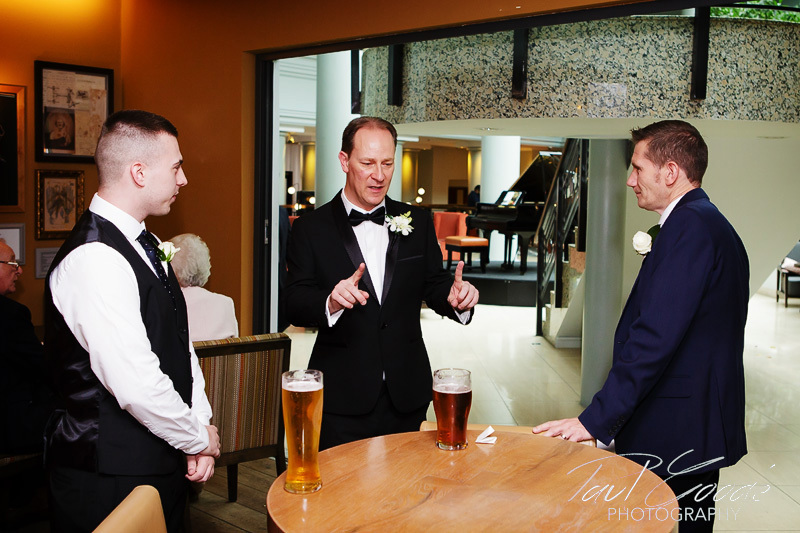 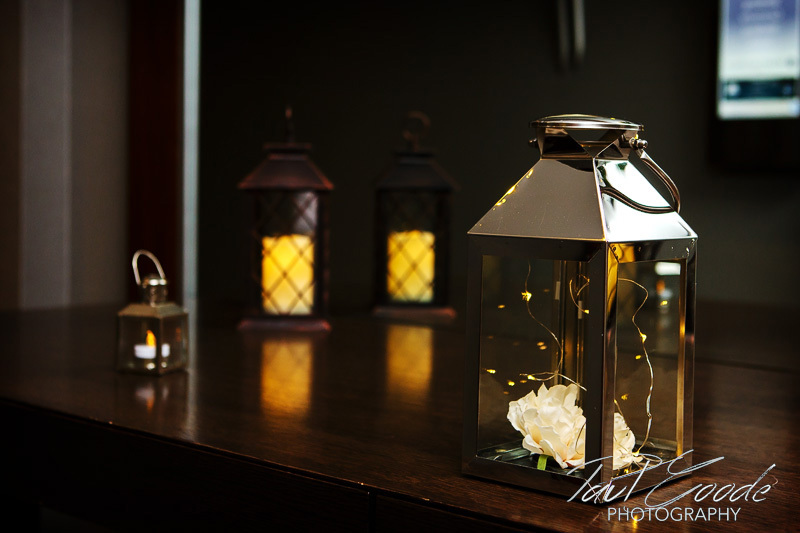 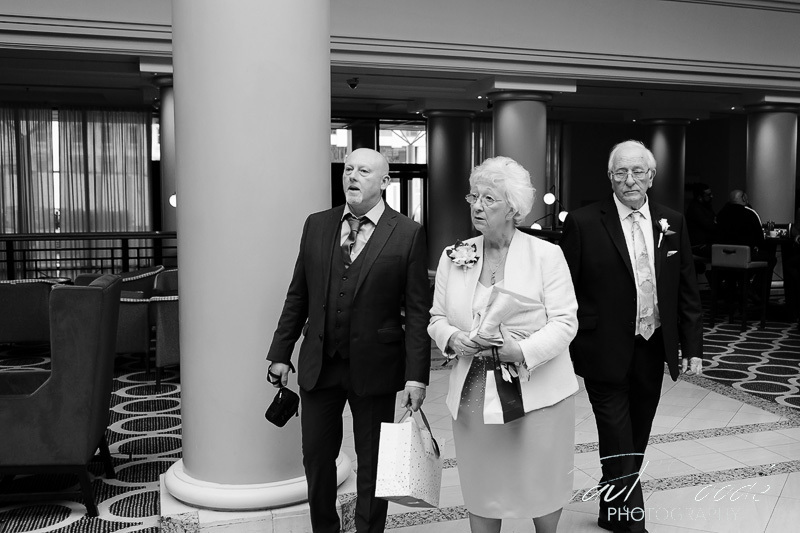 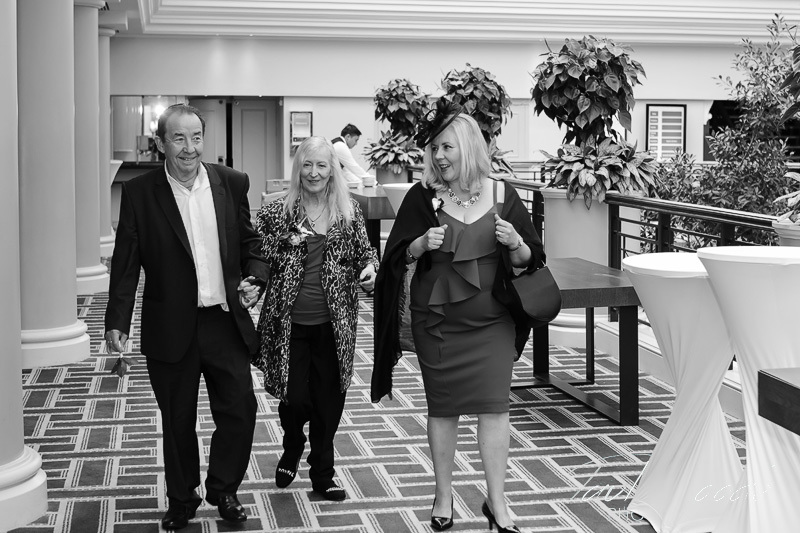 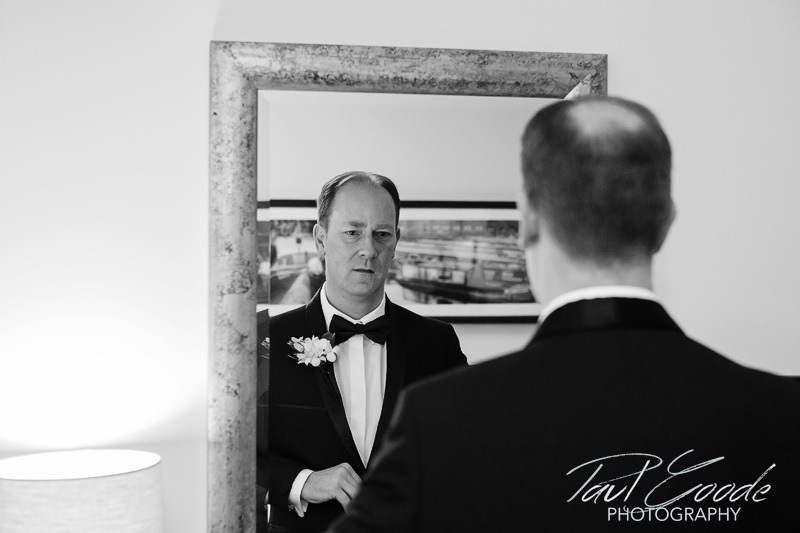 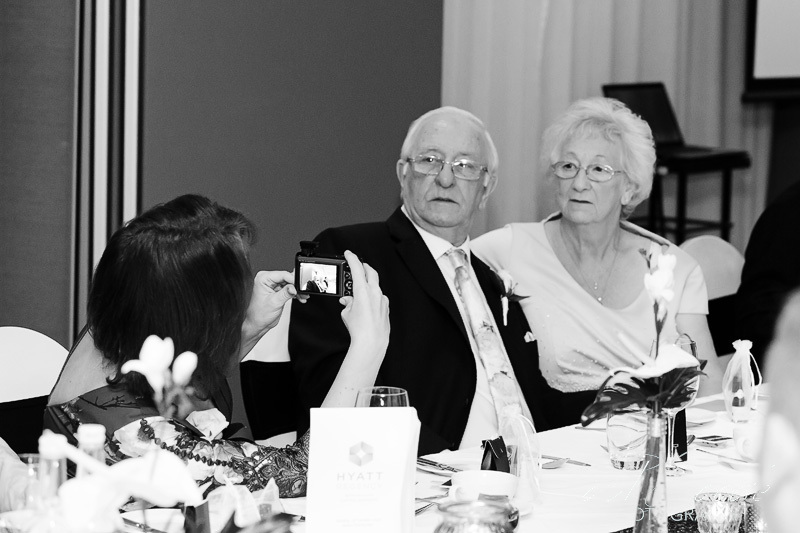 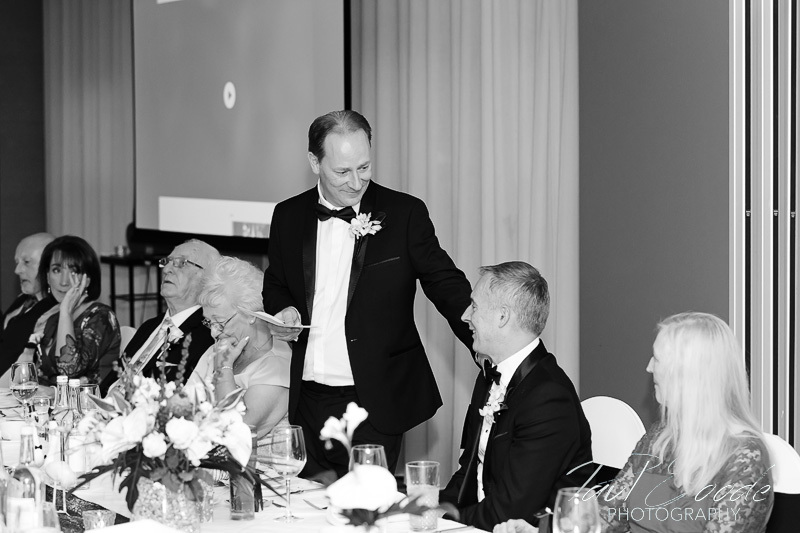 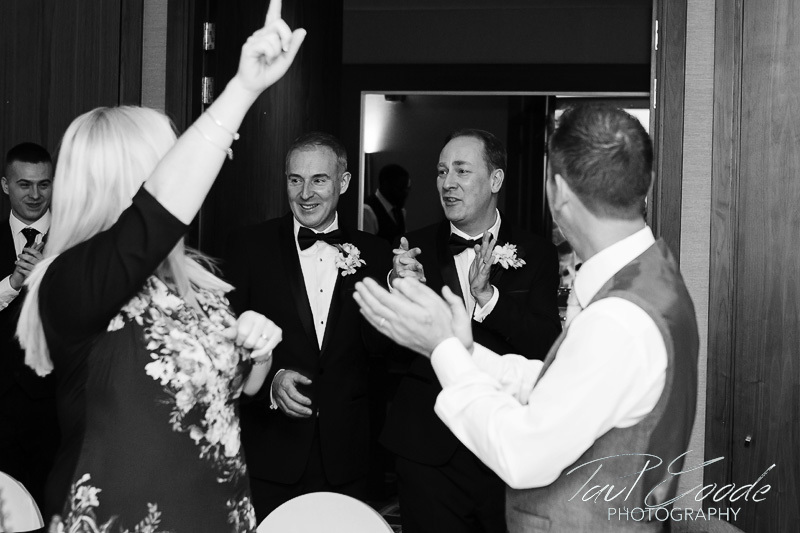 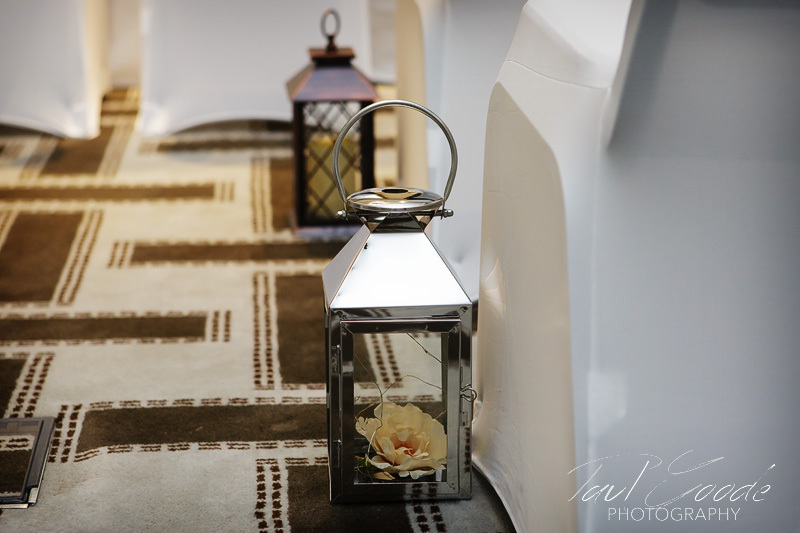 For Jason and Gerard’s big day I was providing wedding photography at The Hyatt Regency Birmingham . 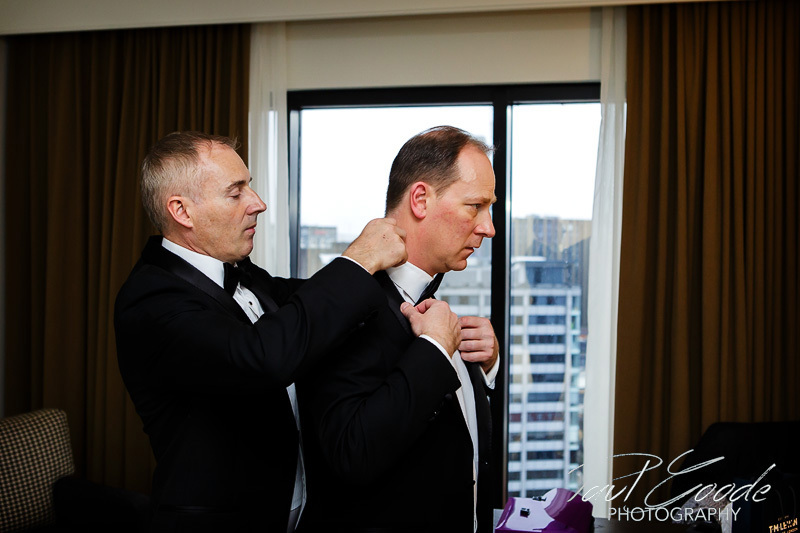 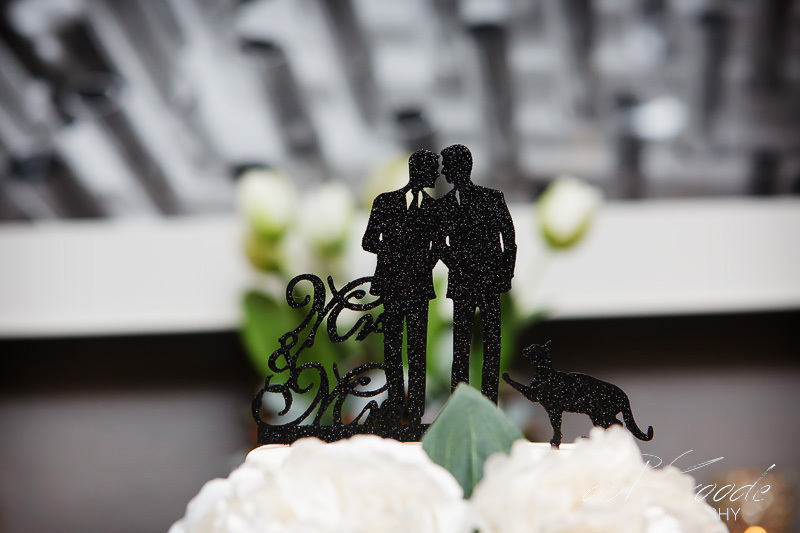 I arrived at The Hyatt Regency just after midday ahead of Jason and Gerard’s afternoon ceremony. 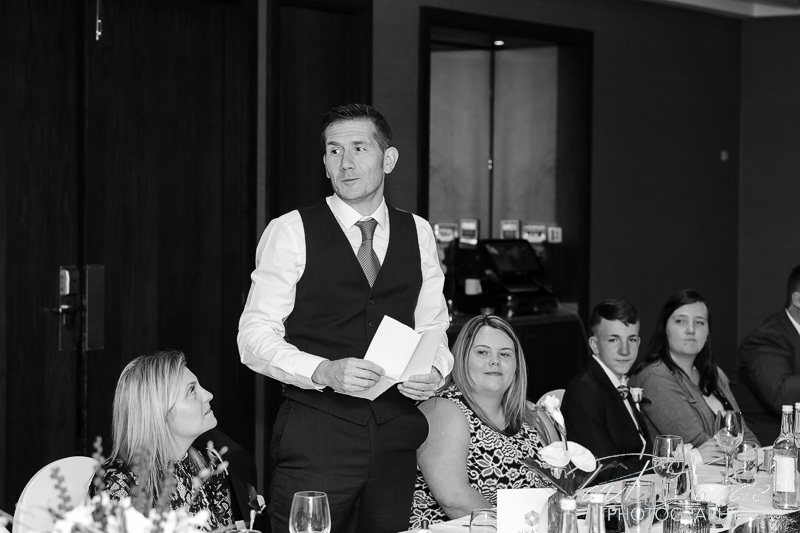 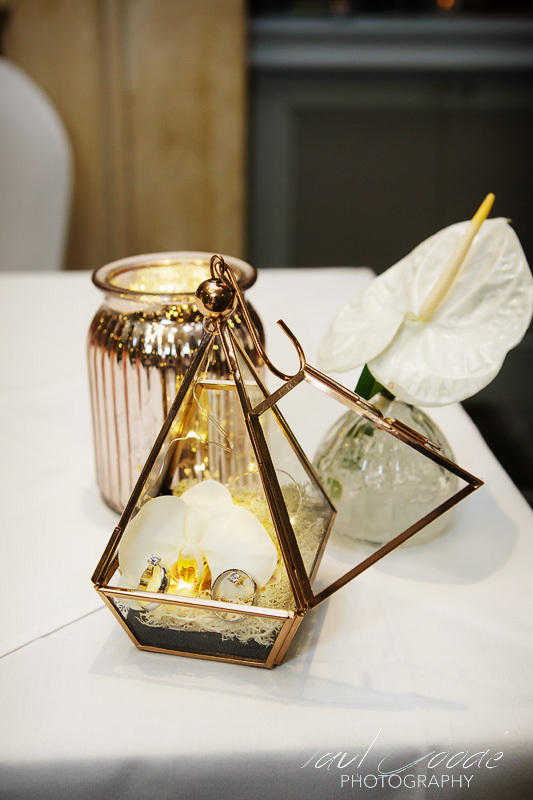 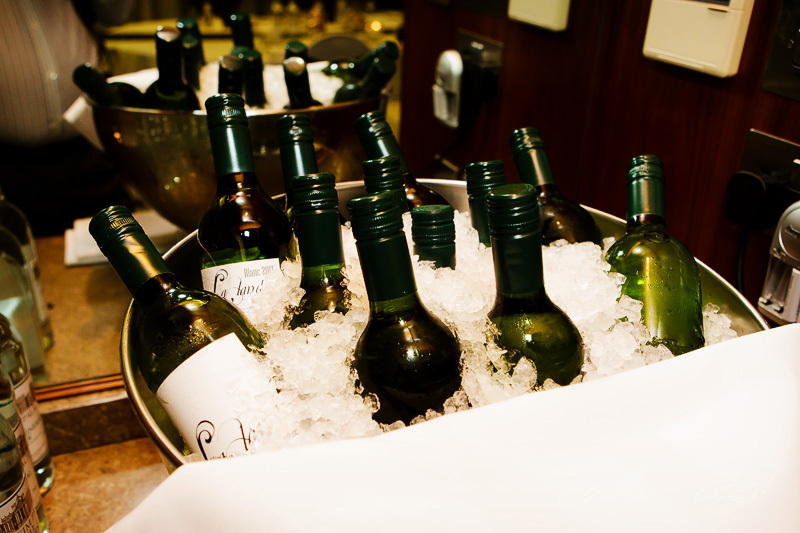 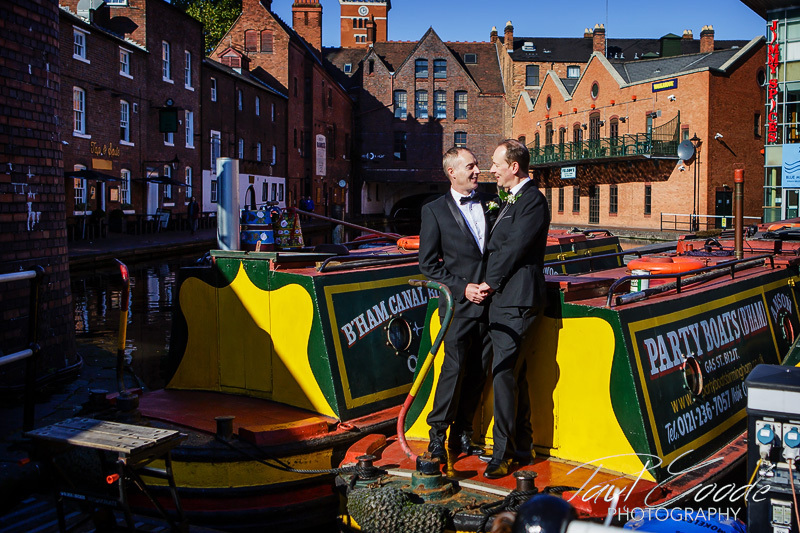 The Hyatt Regency is a very elegant hotel situated in the heart of Birmingham City Centre, very conveniently located to major attractions and overlooking the Gas Street Canal Basin. 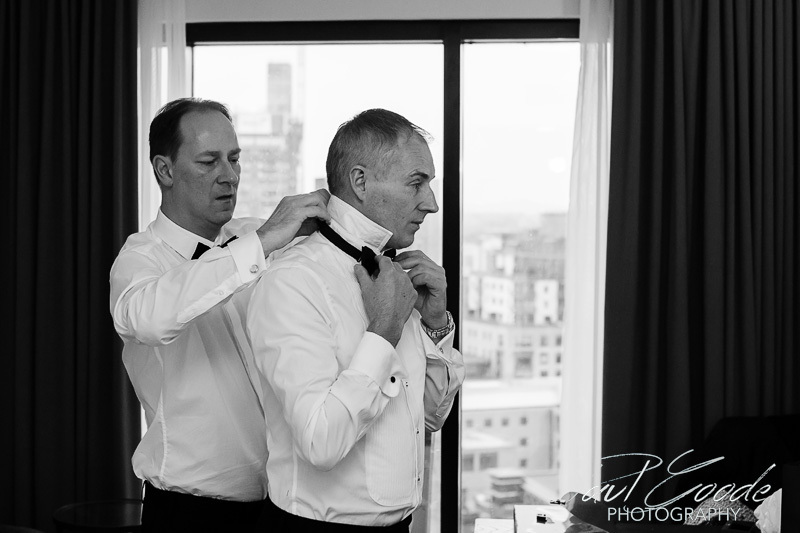 I met up with Jason and Gerard making their final preparations in their room, which had very pleasant views overlooking the skyline of the city. 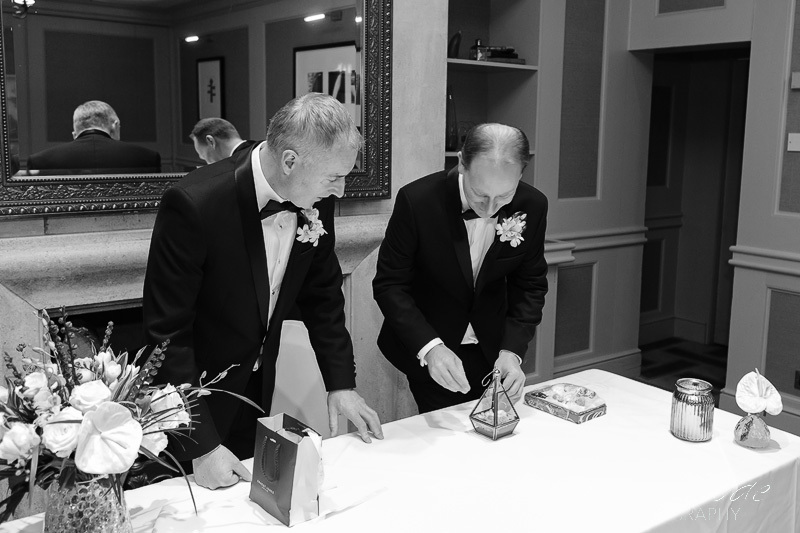 Jason and Gerard then passed by the drawing room to make some finishing touches for the ceremony before joining their guests in the bar. 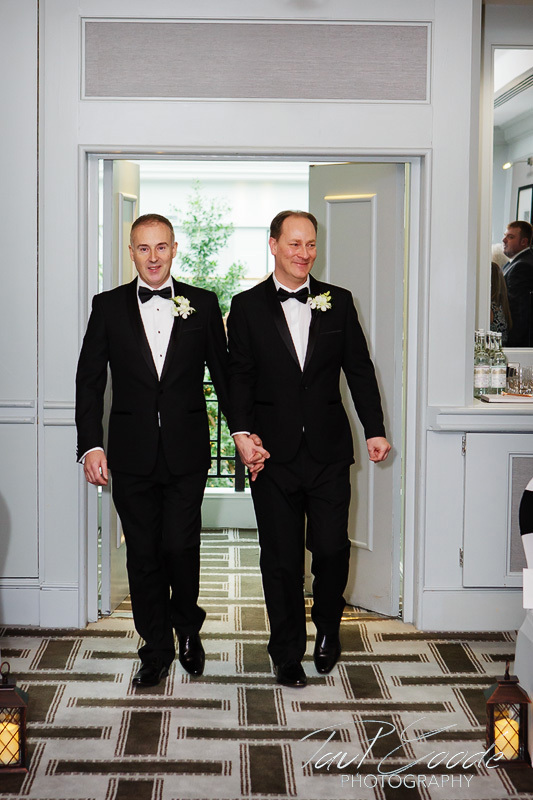 As ceremony time arrived guests took their seats to eagerly await Jason and Gerard’s entrance. 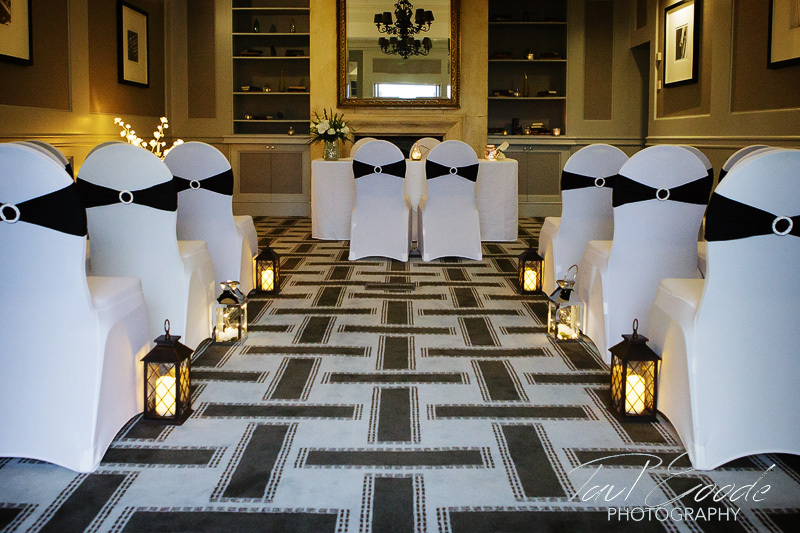 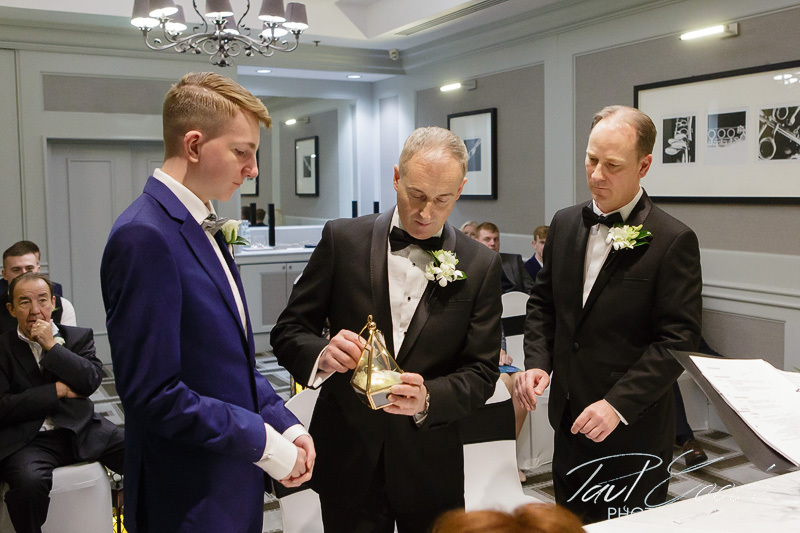 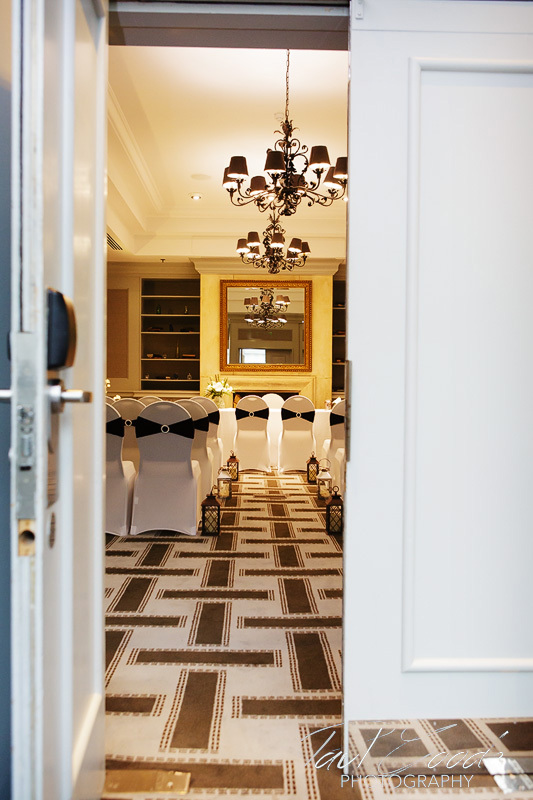 The drawing room with its warm wood panelling and fireplace created a very intimate setting for everyone to enjoy a very personal wedding ceremony conducted by the Birmingham Registrars. 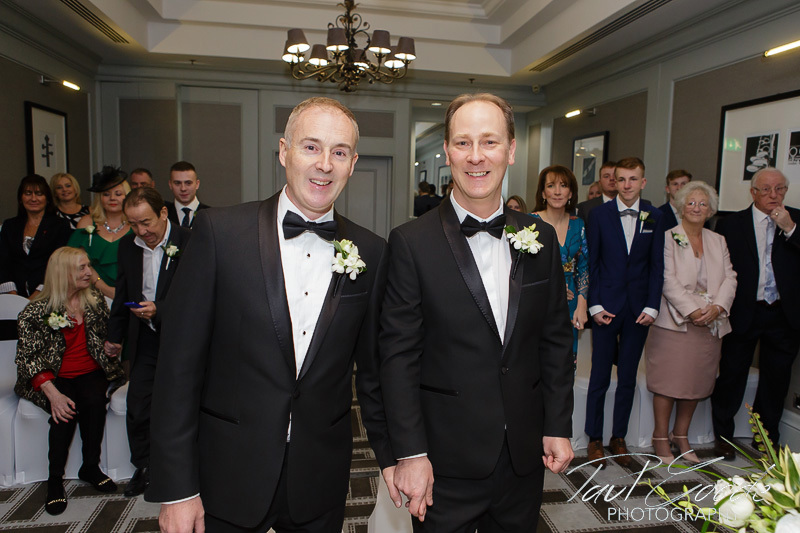 After the ceremony Jason and Gerard held a drinks reception with the guests before family and portrait photos were taken. 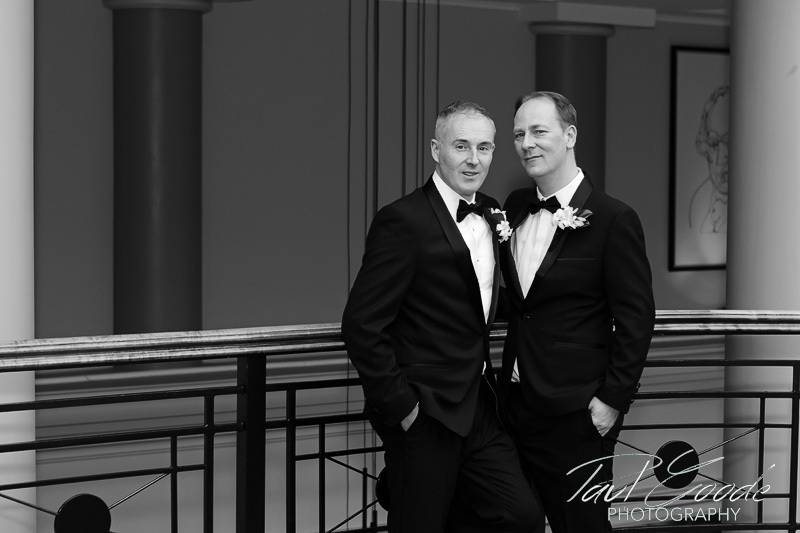 As the weather really was not on our side all the photos were shot indoors. 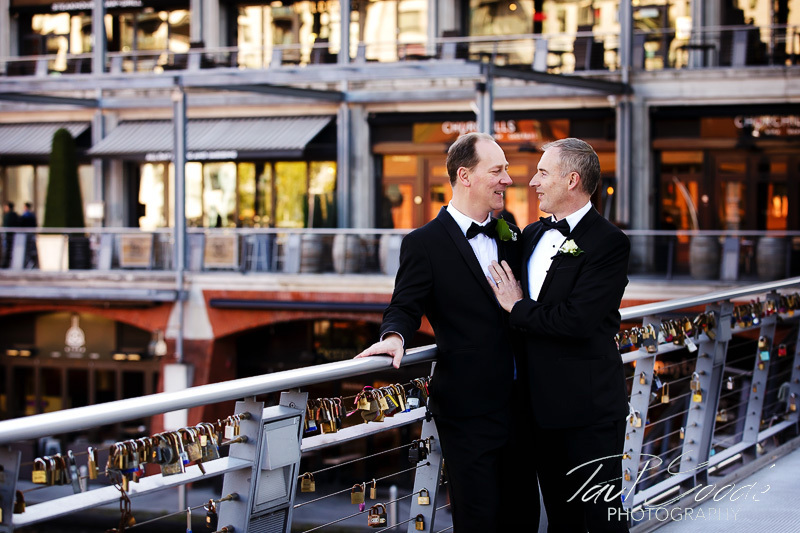 The spacious Atrium lobby with its glass roof, staircases and large windows provided a great backdrop. 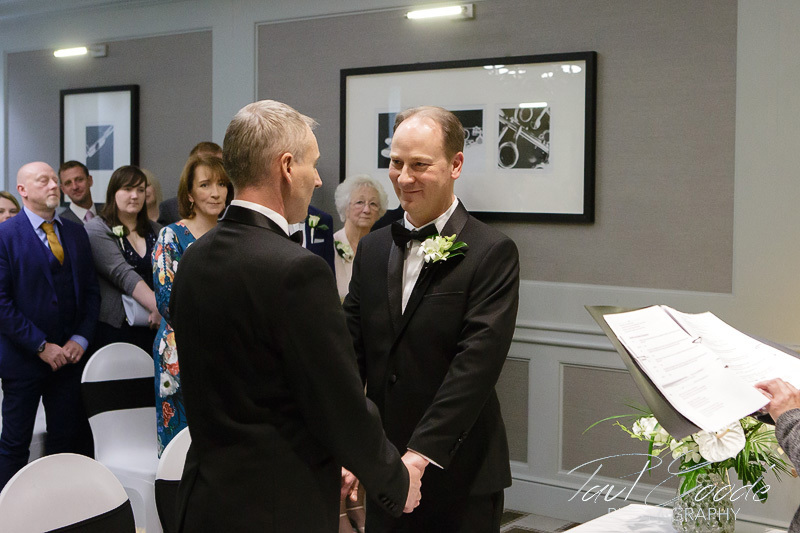 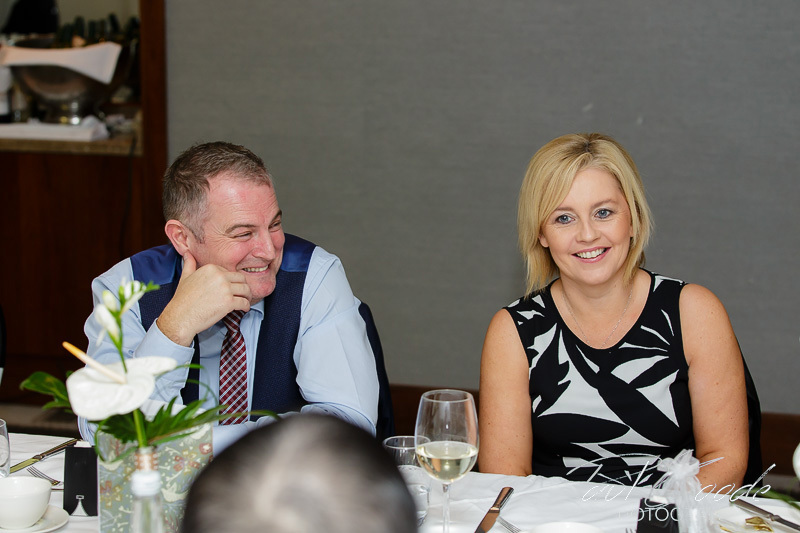 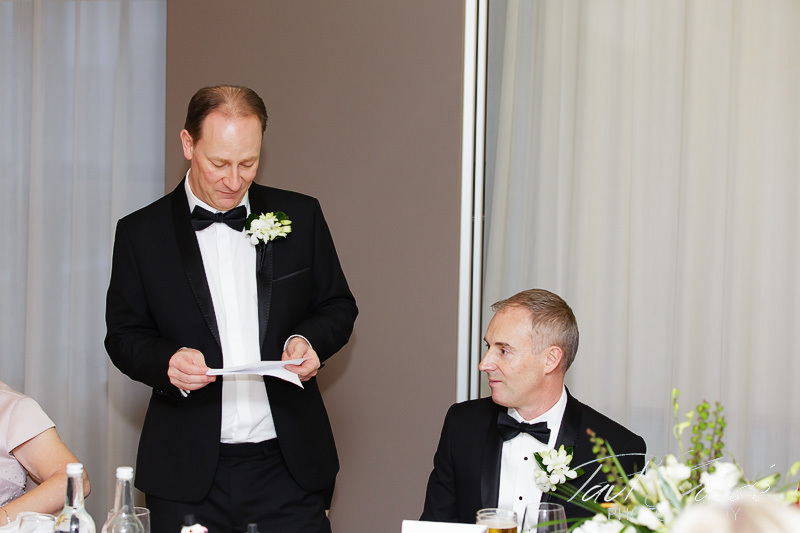 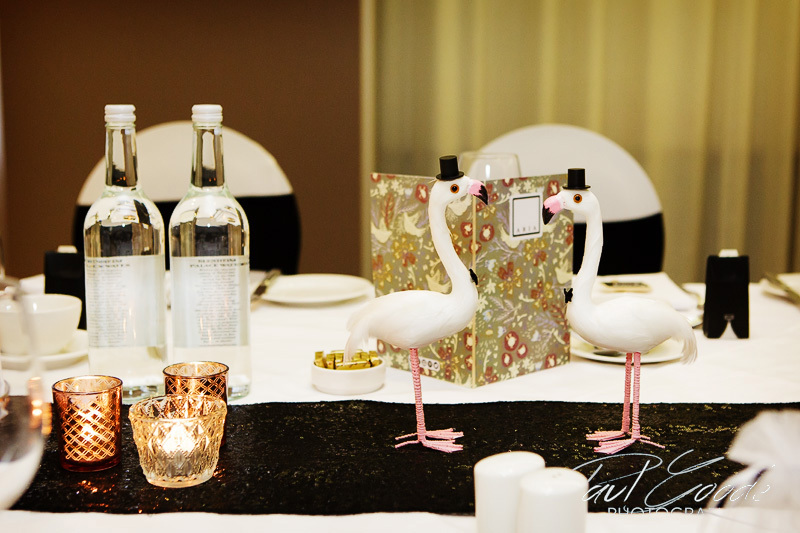 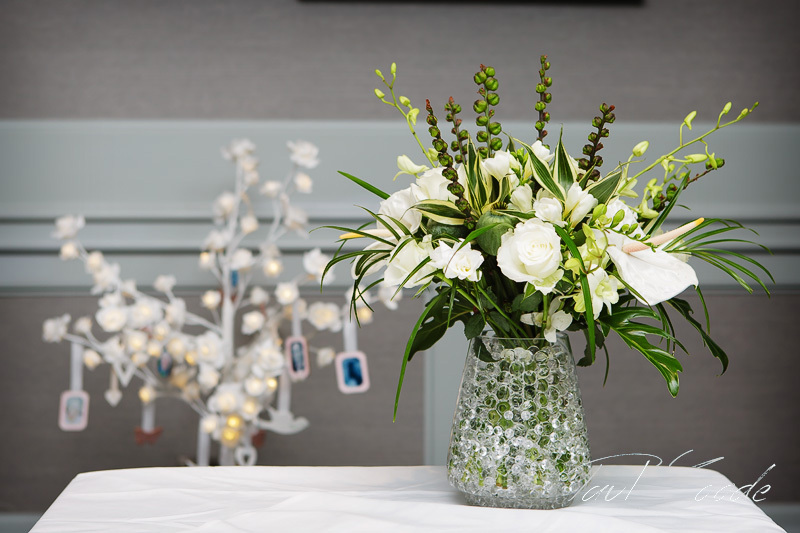 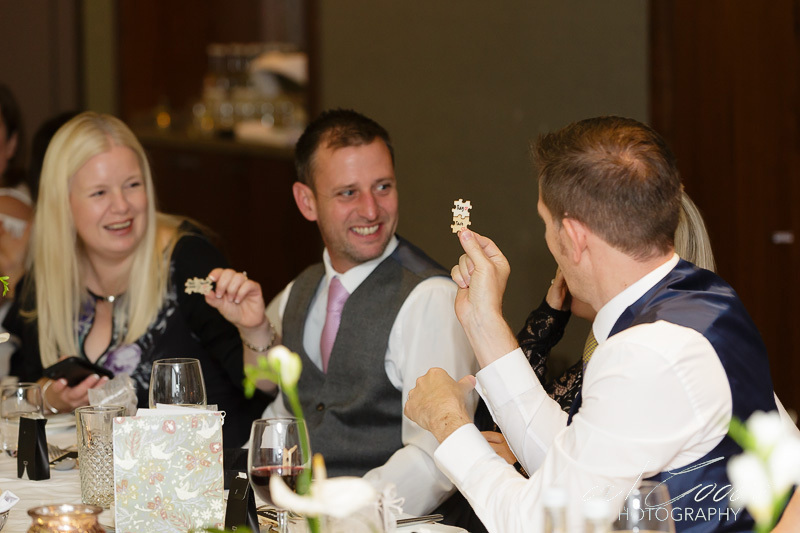 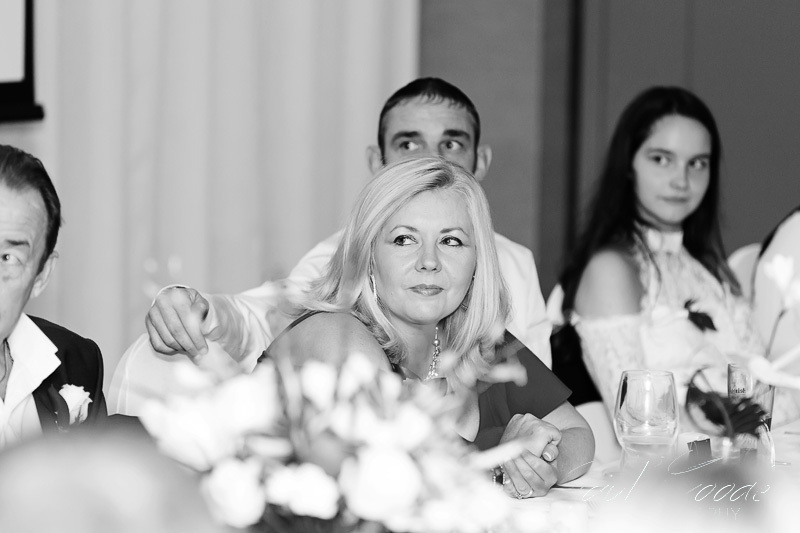 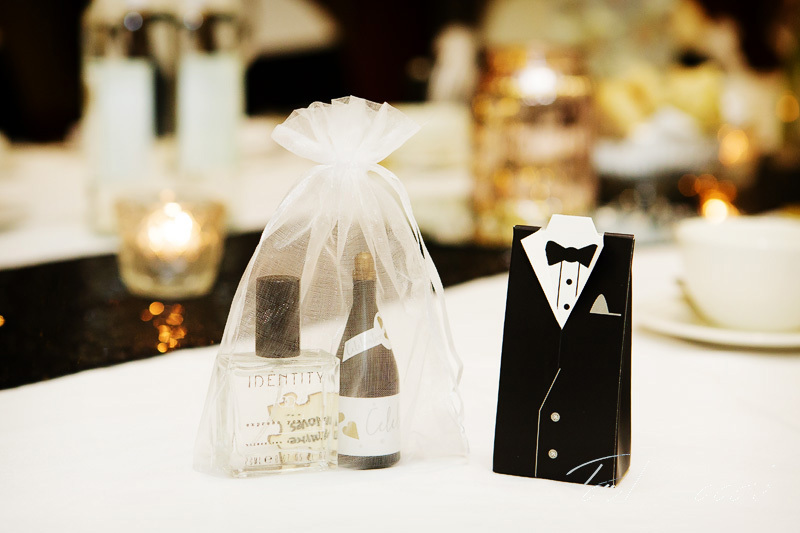 Jason, Gerard and their guests enjoyed their wedding breakfast in the Dolce Suite. 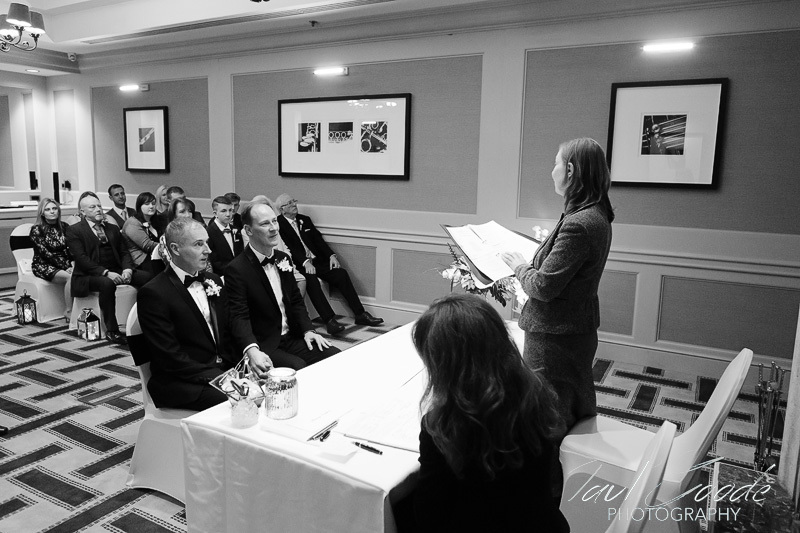 This was followed by speeches and an entertaining powerpoint slideshow. 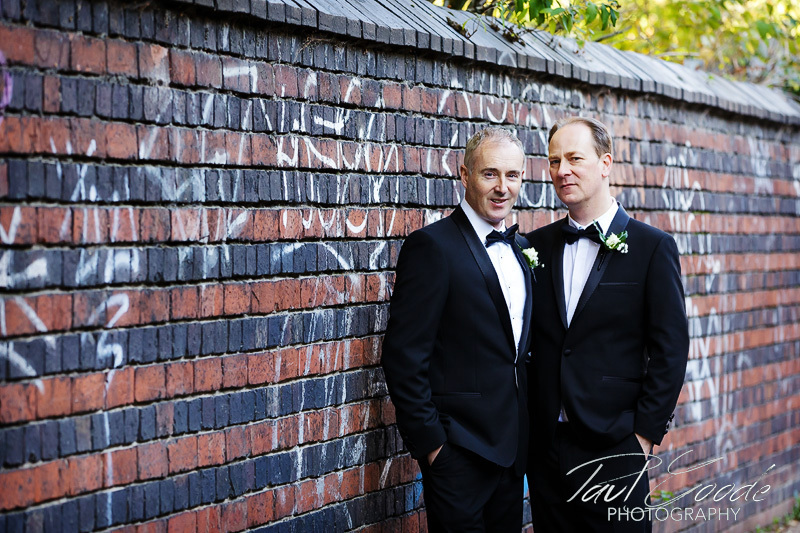 After a few more informal shots I left Jason and Gerard to their celebrations. 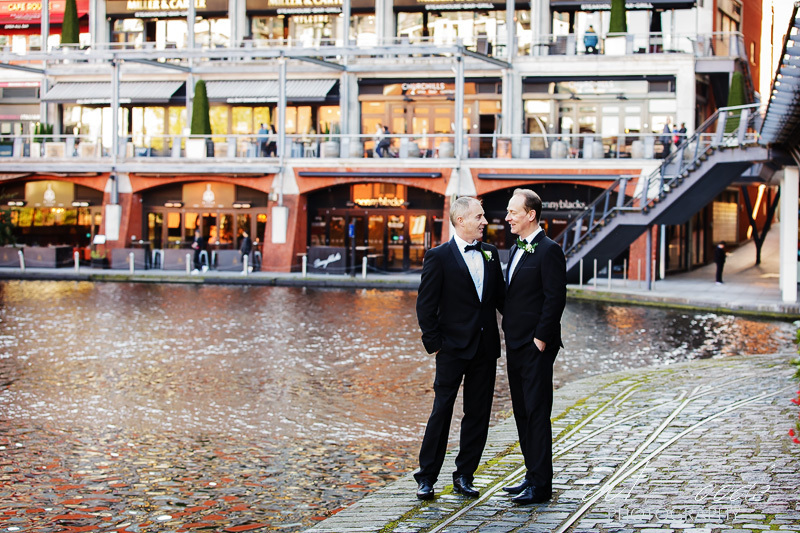 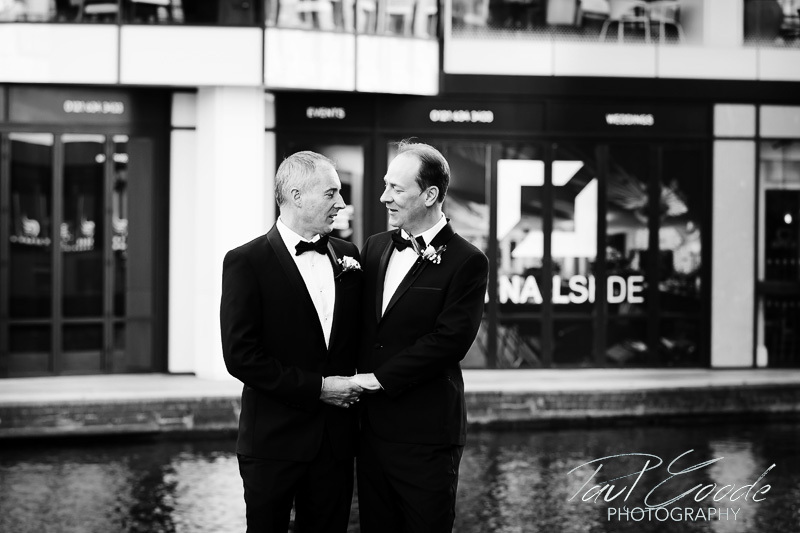 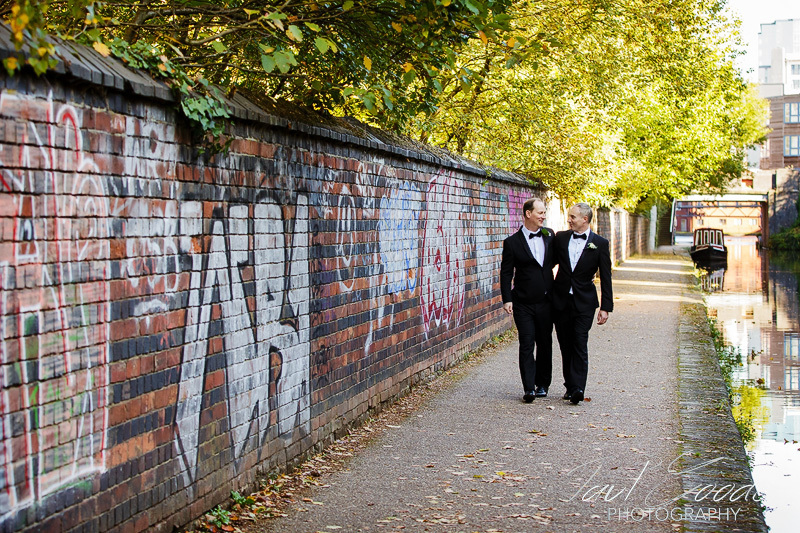 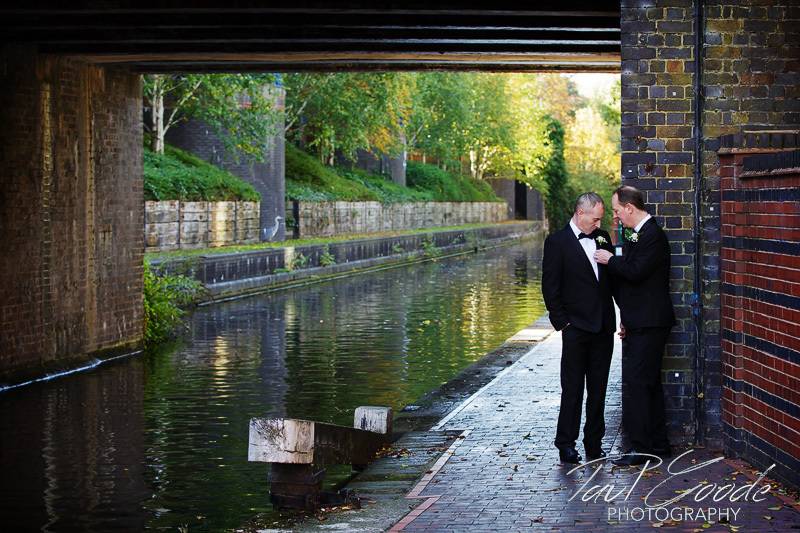 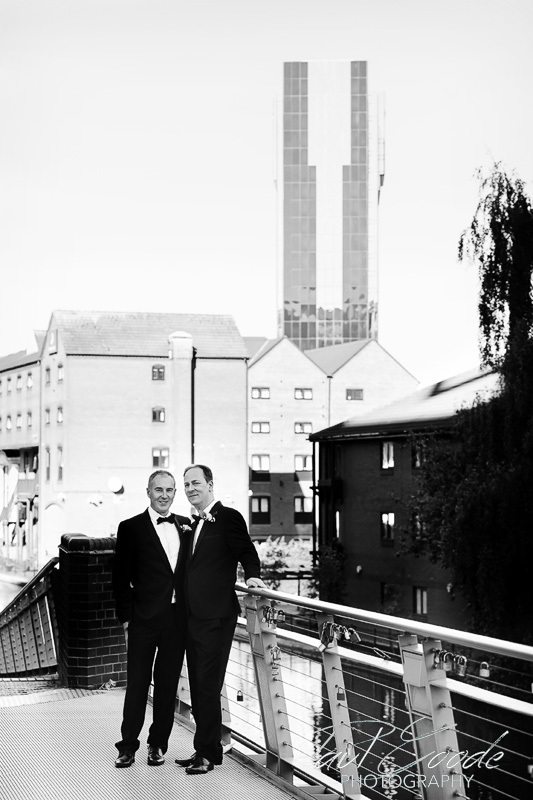 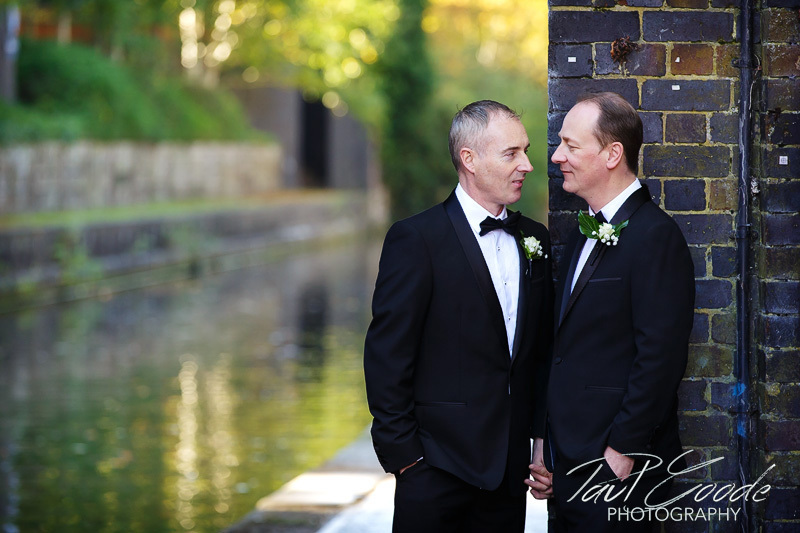 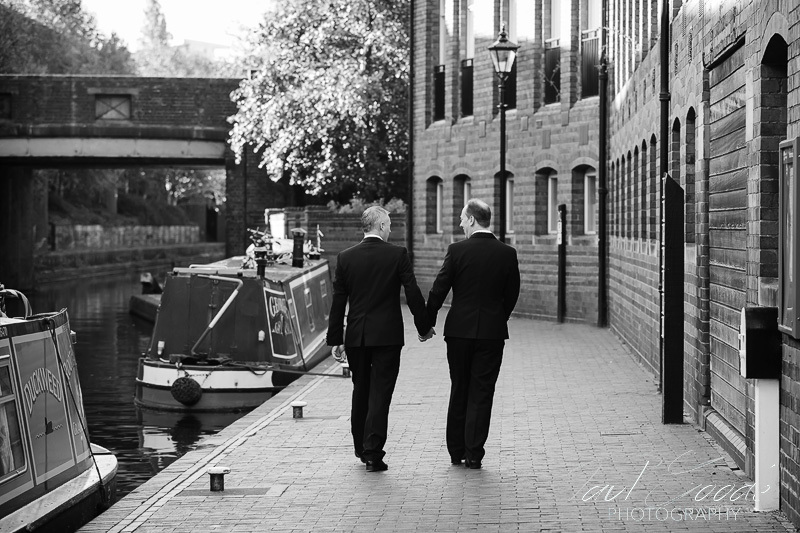 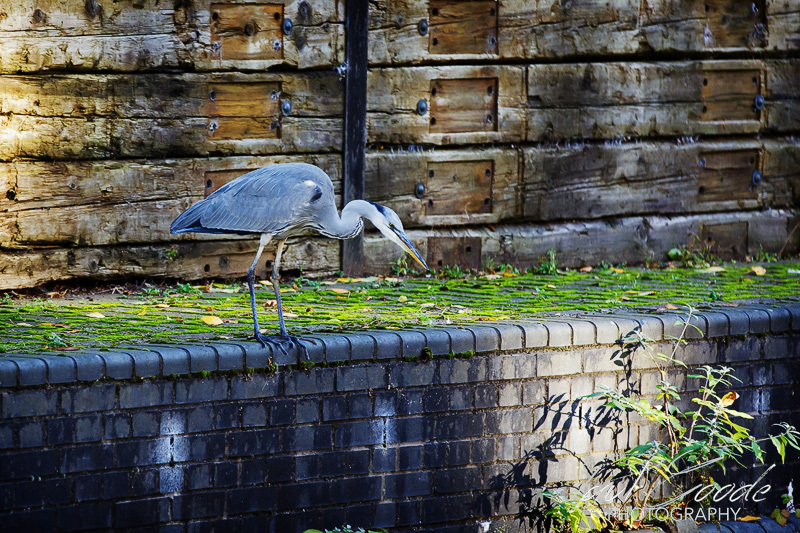 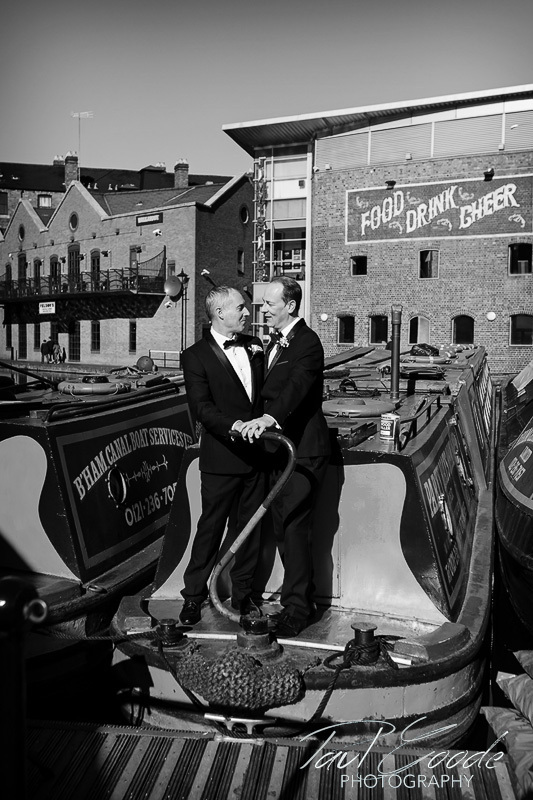 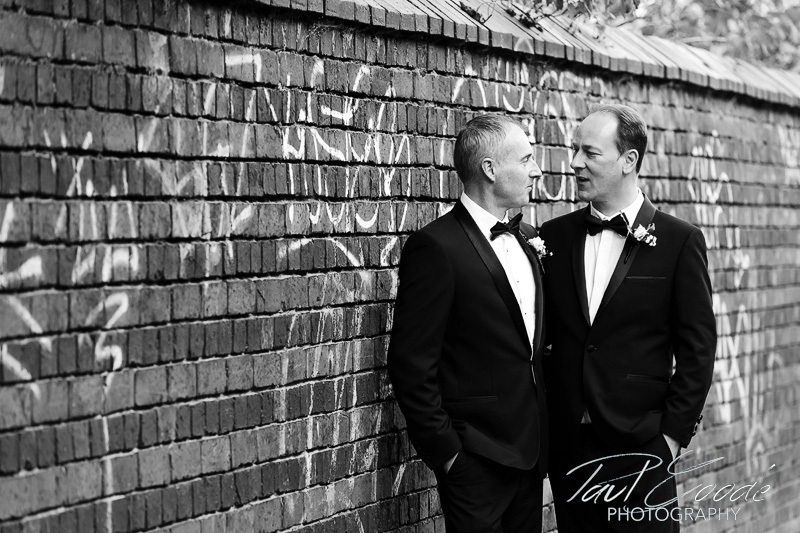 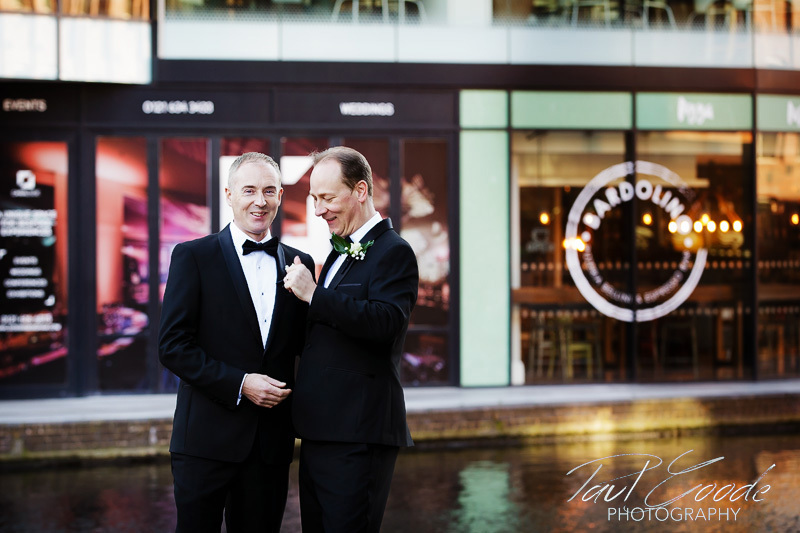 A week after the wedding I met back up with Jason and Gerard, in much better weather 🙂 This time we were able to capture some shots around Gas Street Canal Basin and The Mailbox.